While the digital advertising and marketing spend continues to exponentially grow, marketers are still seeing imperfect conversion rates from prospect awareness to SQLs. Site or landing pages convert at 7% and content syndication sites convert at 2%. EMEA marketers bear many different tasks, roles and challenges as they work to expand their business growth across the diverse regions. Driving better conversion rates means starting out with the who and getting your marketing content where they are. Out of the 4 million professionals researching on BrightTALK, 68,000 marketing professionals from EMEA are engaging with leading brands. We’ve studied the researching habits of these marketers and are sharing them in this action packed session. 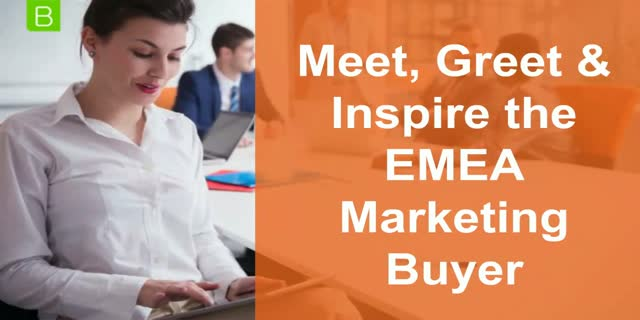 This session will reveal how to circumvent being lost in the sea of vendors and how to acquire your best buyers through videos and webinars.